Bairds Malt is a major UK maltster with a total annual production capacity of 255,000 tonnes. As a supplier of high quality malt products to all sectors of the brewing and distilling industries across the globe, Bairds Malt draw on many years experience and strive to provide complete customer satisfaction. Reuse of water at a suitable quality to prevent inhibition of germination in the steep and to the prescribed concentration values of the current UK water supply regulations. 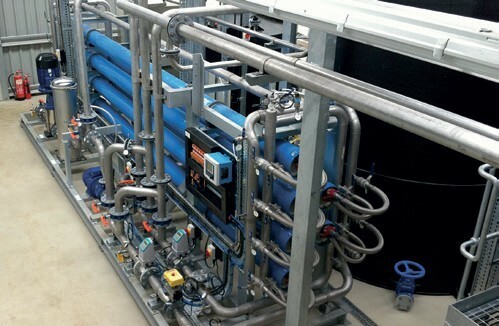 Inlet screening, MBR tank with AMBR LE ™ and JETOX™ aeration, ultrafiltration and reverse osmosis membranes, UV disinfection and sludge treatment. Totally automated, with our own software and remote access for plant monitoring.